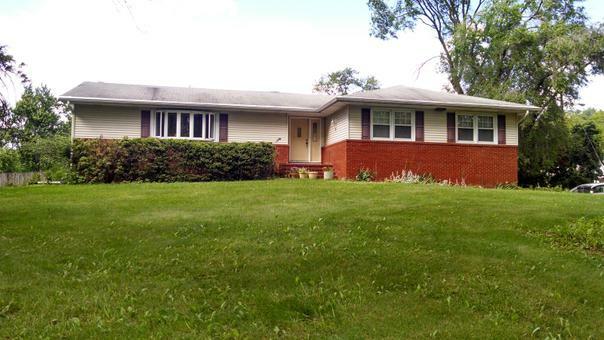 Enjoy one floor living in this well maintained Ranch, on a large corner lot that backs up to the prestigious Fairmount Country Club's golf course. Live on a block with two million dollar plus houses. Extended 2-car driveway is located on Woodmont Dr. 3 bedrooms and 2 bathrooms. Features include eat-in Kitchen with deep pantry closet, hardwood floors (underneath carpet), Master Bedroom En-Suite, 2 walk-in closets (1 in Master), newer vinyl windows and entry doors, large Bay window in Living Room that offers lots of natural light, sliders plus 2 doors to the deck, security system &underground sprinklers. Full basement has french drains and is heated on its own zone! And, the garage is also heated with it's own unit/zone! Close to schools, town pool, shopping, downtown, train for NYC commuting, & NJ highways.